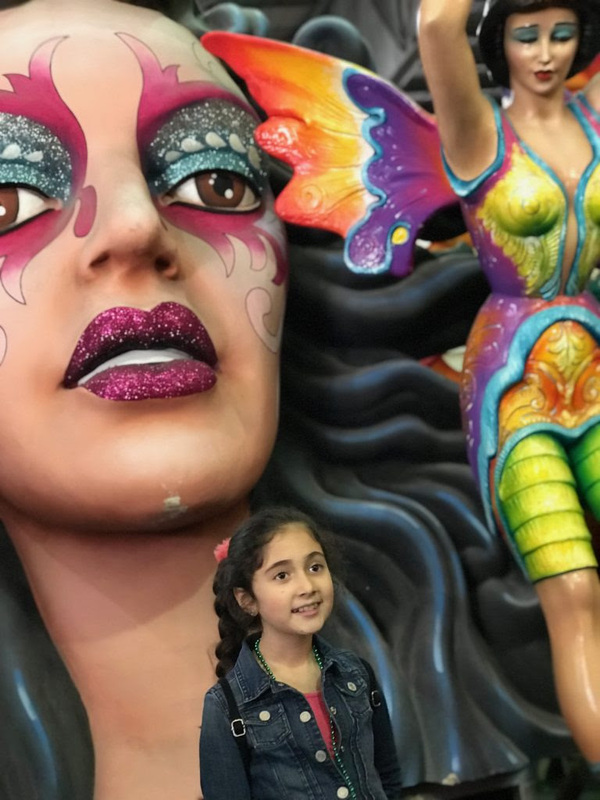 Mardi Gras World is one of the top things to do in New Orleans with kids. 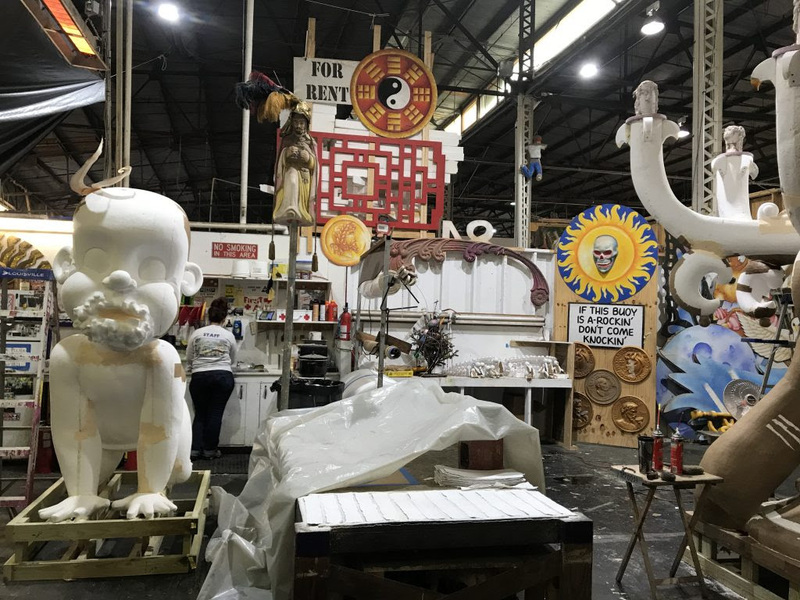 The next best thing to watching a Mardi Gras parade in person (yes, there are child-friendly versions) is checking out the floats up-close and seeing how they’re made. 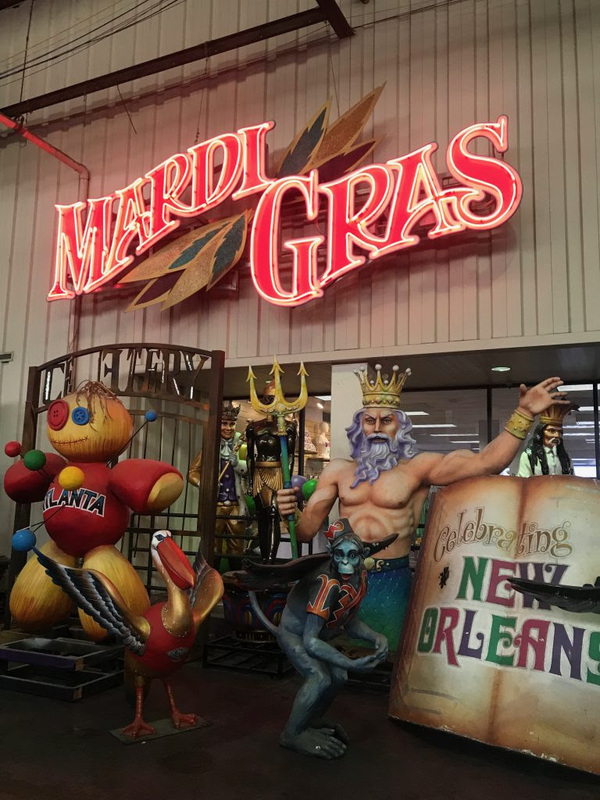 A visit to Mardi Gras World starts out with an informational video (and King Cake tasting) and ends with an elaborate behind-the-scenes tour where you’ll see artists painting and designing their creations. 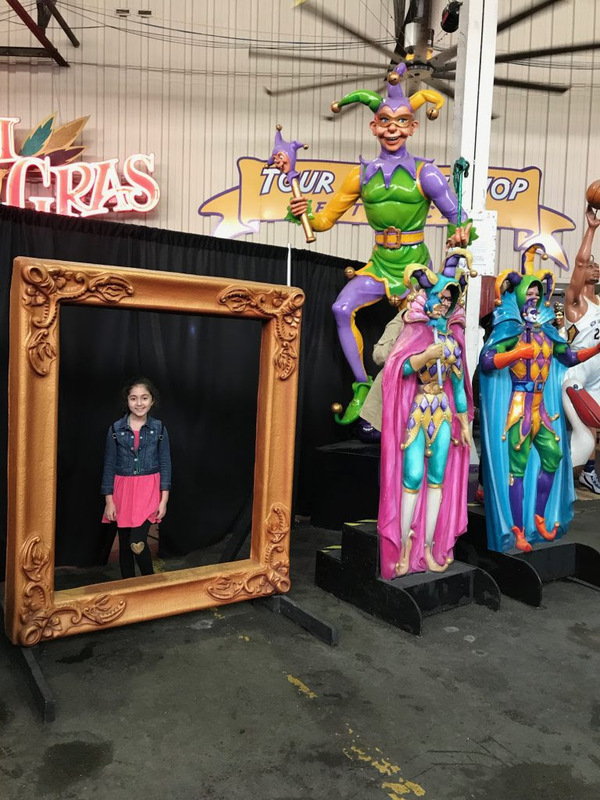 There are plenty of photo-ops and costumes to try on so make sure you’ve got a full battery. 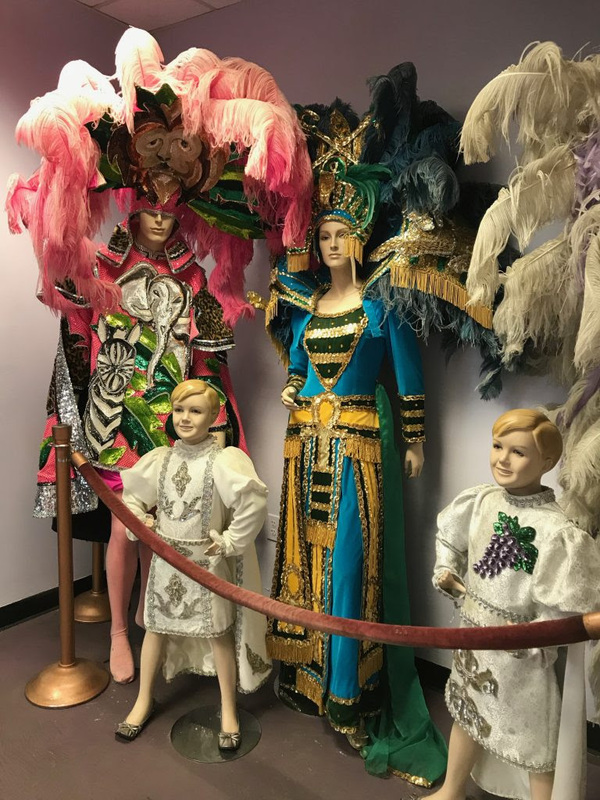 The complimentary shuttle makes this a super easy option for families visiting New Orleans with kids. 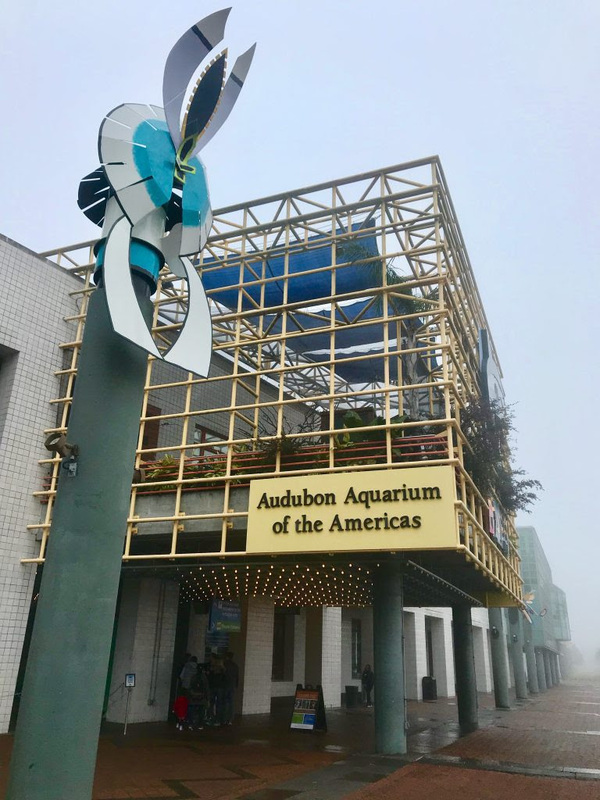 The Audubon Aquarium of the Americas is the perfect option for a rainy or super hot day in New Orleans with kids. 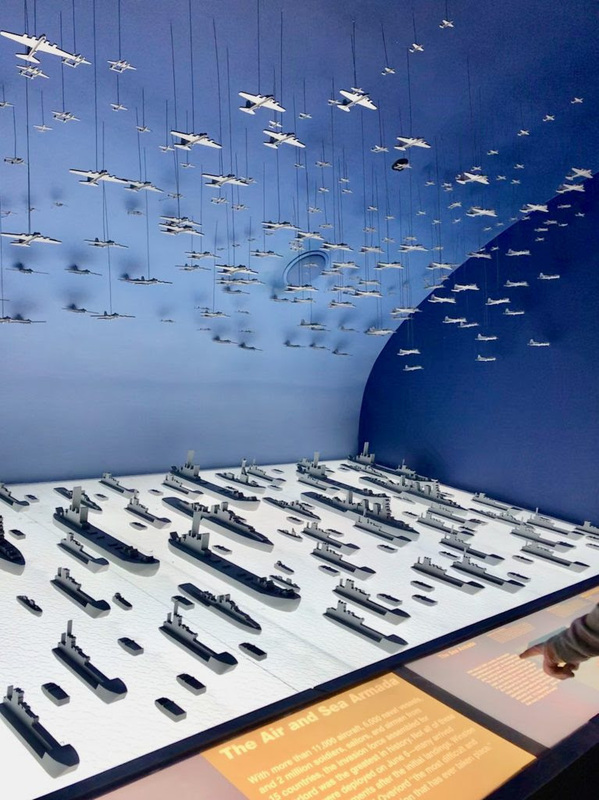 2) Go Under the Sea at the Audubon Aquarium of the Americas. 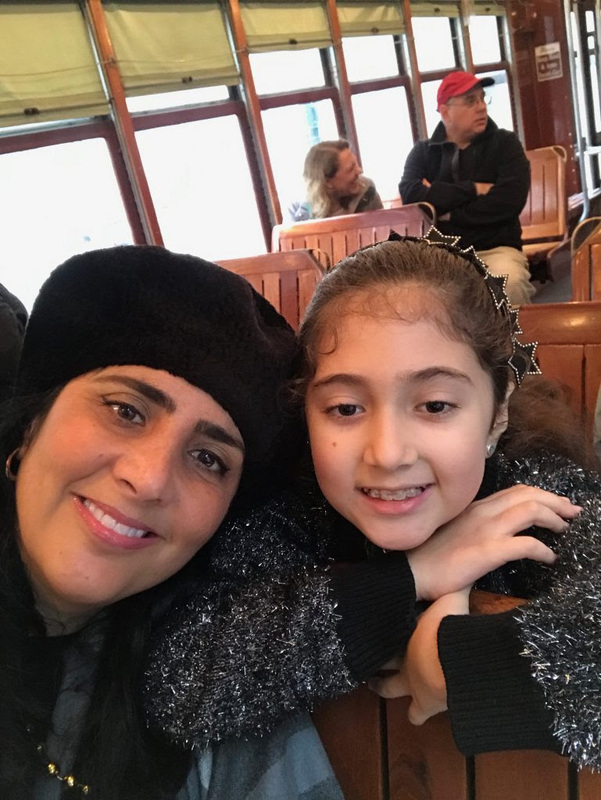 Aquariums are always an awesome option for family trips and New Orleans’ Audubon Aquarium of the Americas will not disappoint. 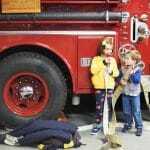 Kids will love seeing penguins, sea otters, sharks, rays, turtles, birds and more in larger than life exhibits with touch tanks and hands-on displays. 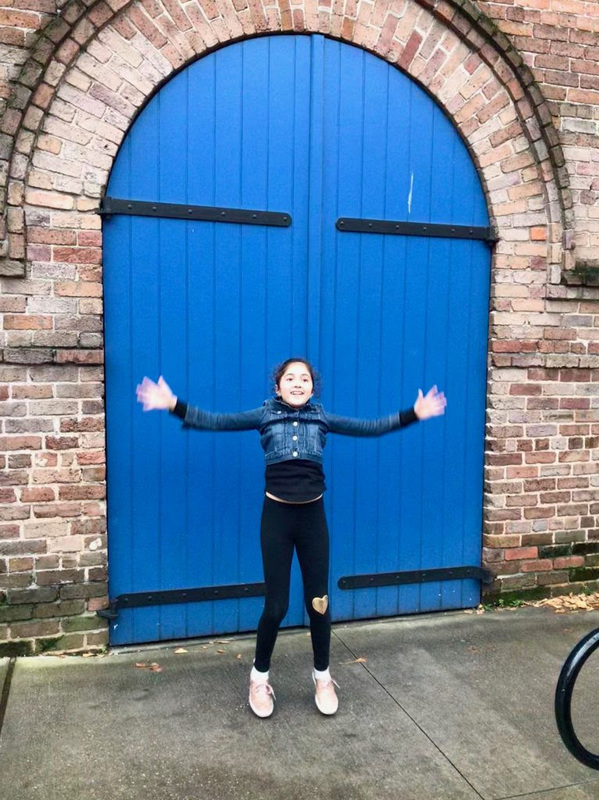 Note: The nearby Audubon Zoo is one of the best zoos in America. 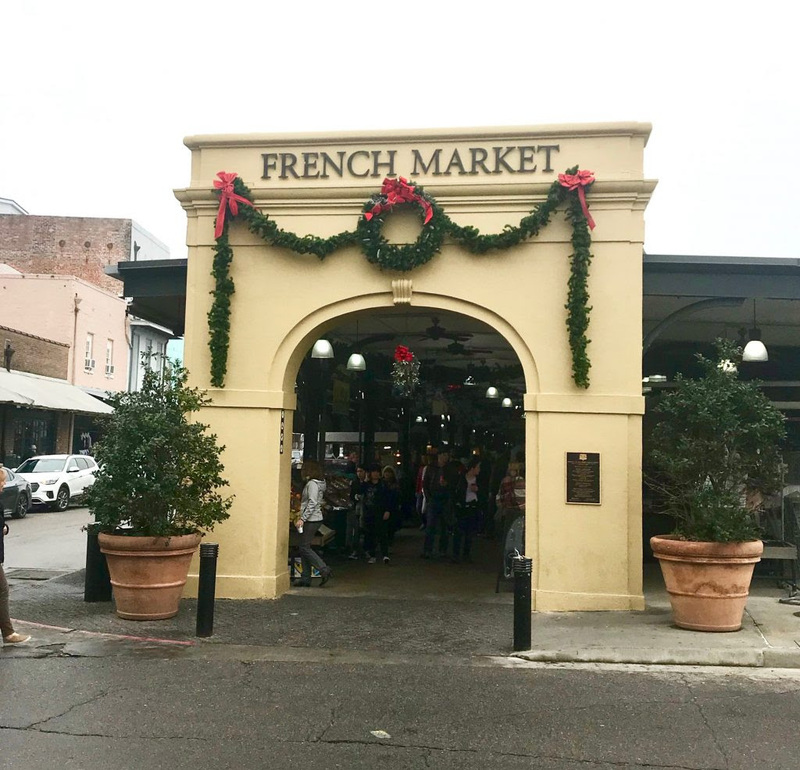 Shoppers and foodies will find plenty to love in New Orlean’s French Market. 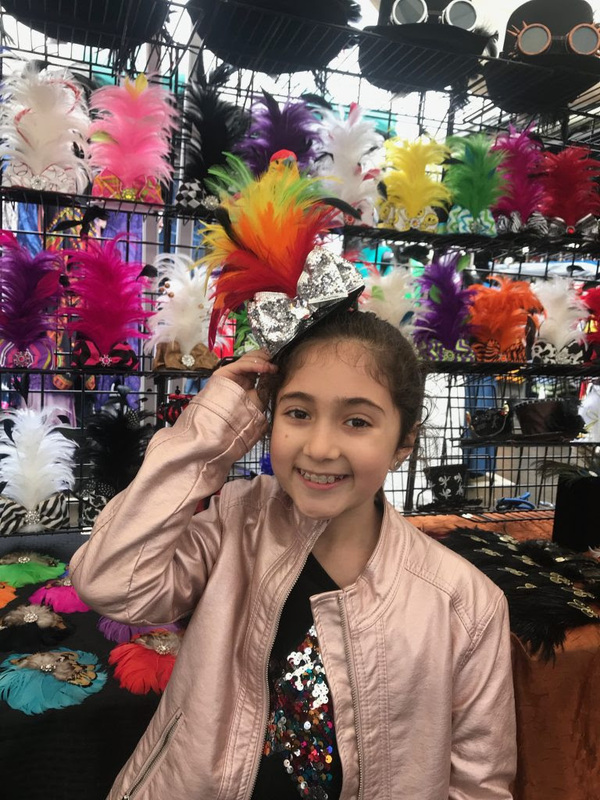 From custom art and jewelry to foodie faves and snacks galore, the French Market has something for visitors of all ages. 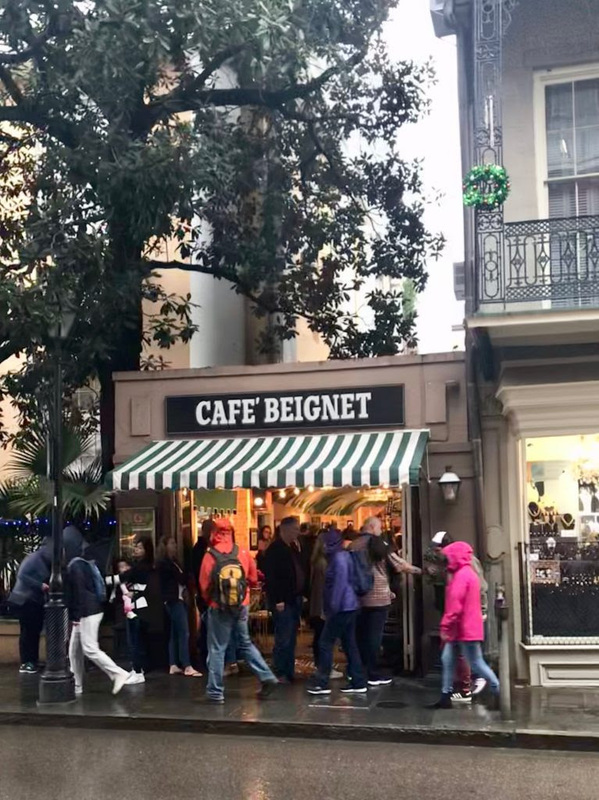 This is the perfect spot to pick up souvenirs, watch a cooking demo and have a quick bite before exploring the French Quarter. 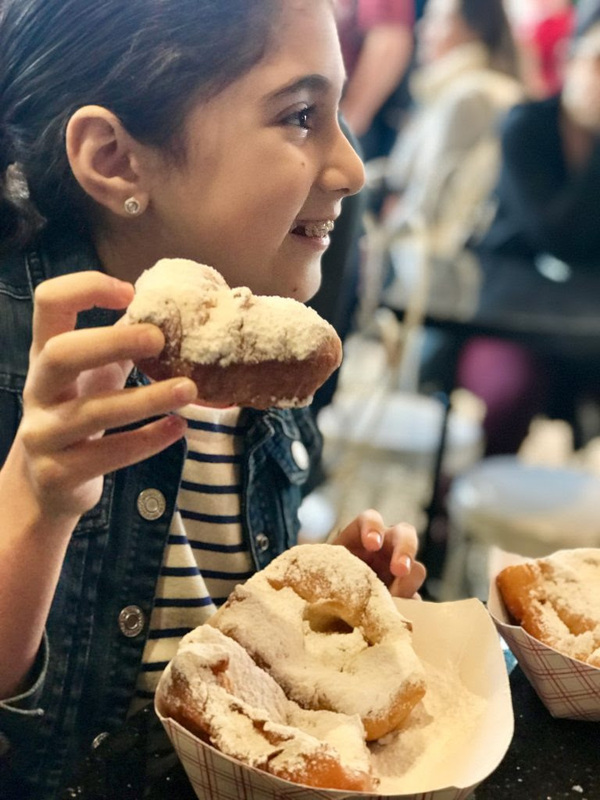 NOLA is known for their powered sugar covered French donuts and you can’t visit New Orleans with kids without stopping at one of their two famed eateries: Cafe du Monde (my husband’s pick) and Cafe Beignet (my daughter and I loved these). Pair them with chicory coffee or chocolate milk and you’ll be energized all day. 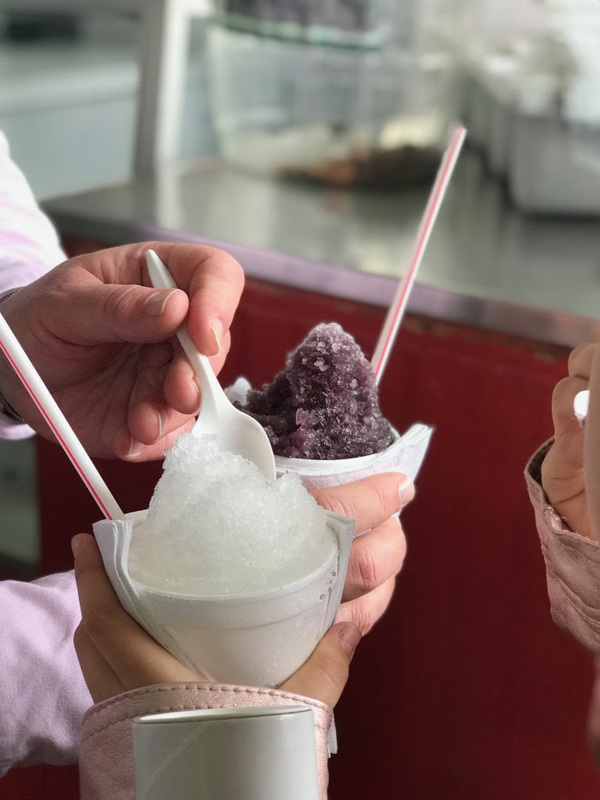 Go early in the morning to avoid long waits or later in the day for an afternoon snack. 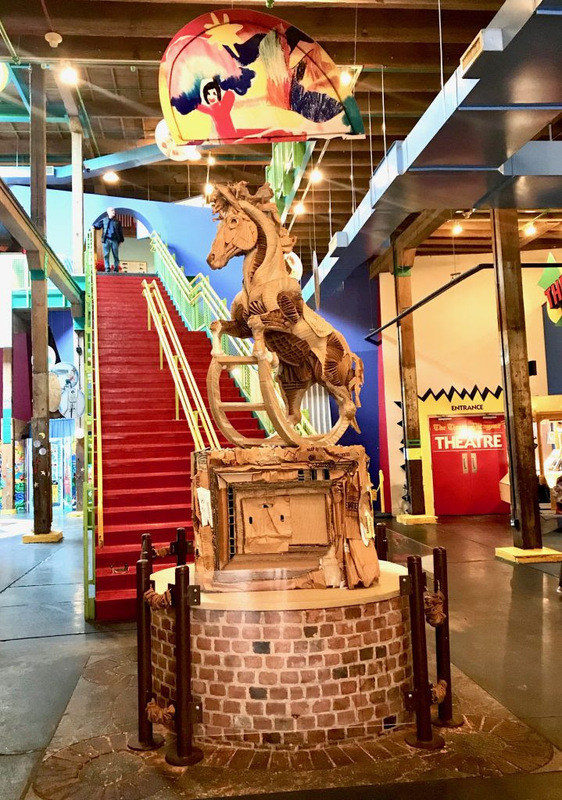 Located in the heart of the warehouse district, the interactive Louisiana Children’s Museum is a must if you’re traveling with the elementary and younger set. 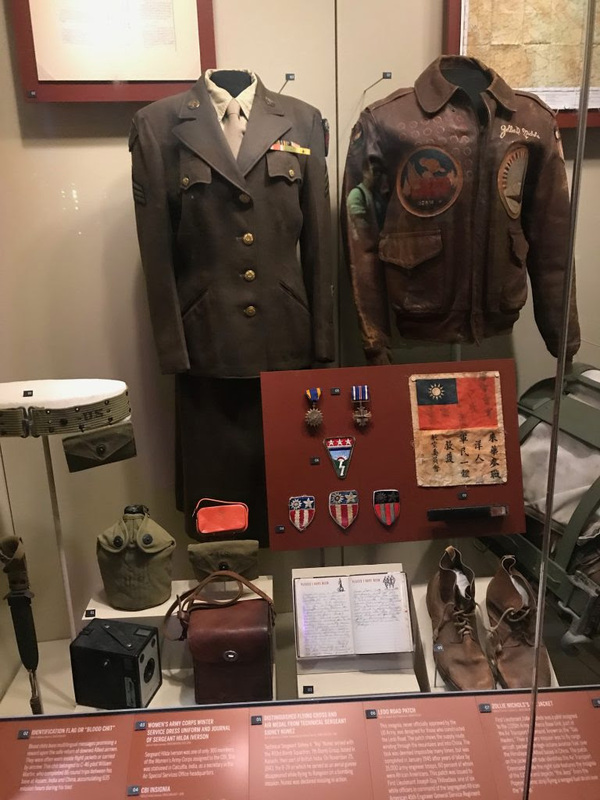 The museum features several hands-on exhibits, reading nooks and art areas. 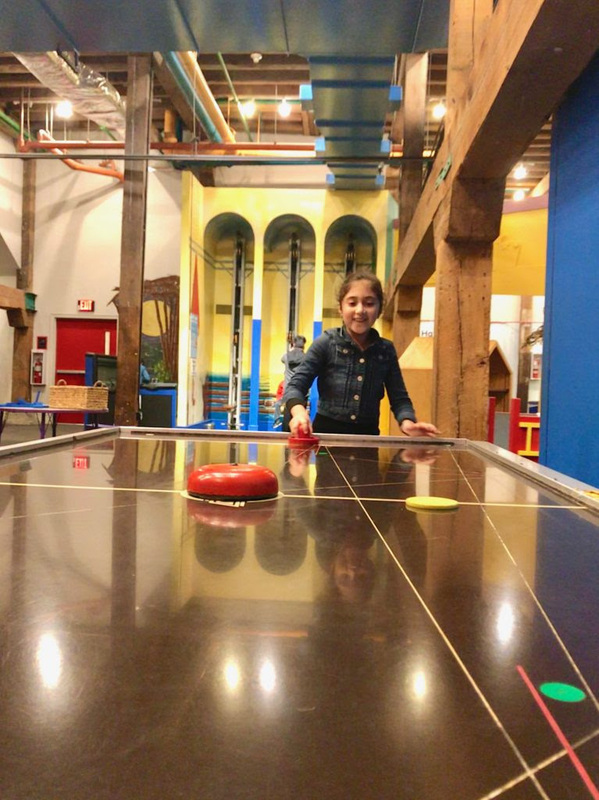 Don’t miss the imaginative play spaces like the bubble area, eye doctor space, grocery store and play cafe. 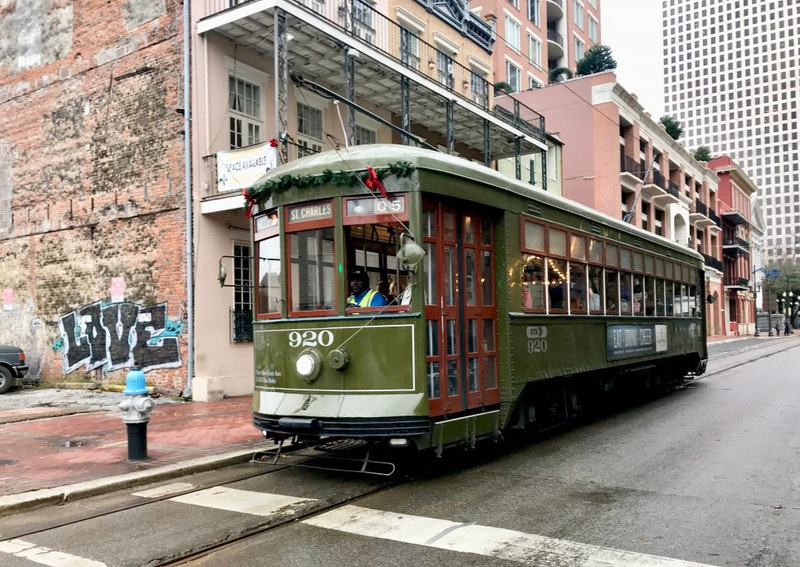 New Orleans is a very easy city to navigate by foot but make sure to save a trip or two for the city’s historic Streetcars. 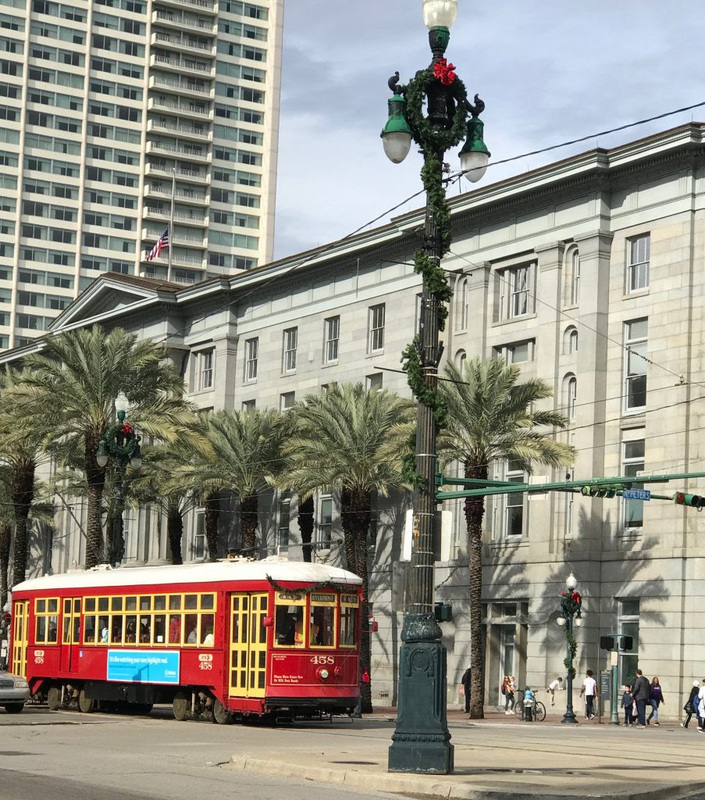 The St. Charles streetcar, the oldest continuously operating streetcar line in the world, goes past gorgeous live oak trees and dozens of antebellum mansions, historic monuments, Loyola and Tulane universities, and shops. 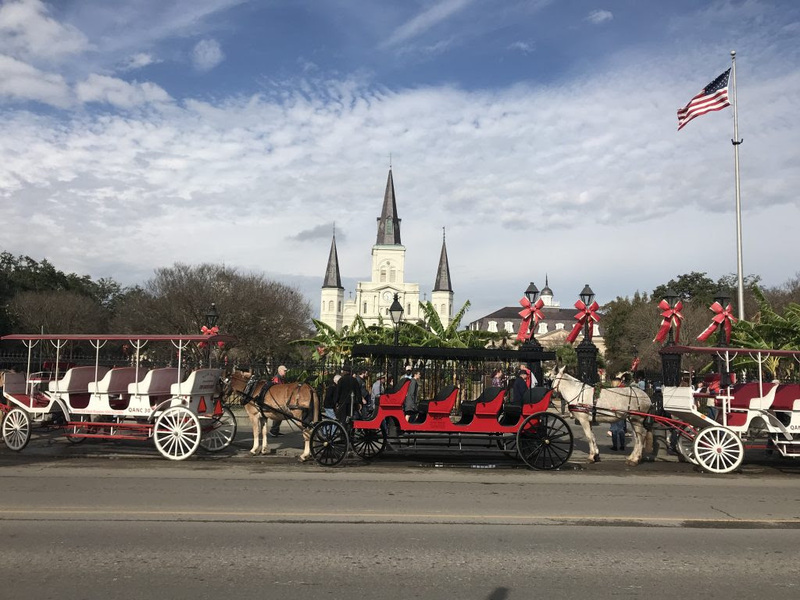 Rides are just $1.25 per trip or $3 for unlimited rides all day making this a great way to get around New Orleans with kids. 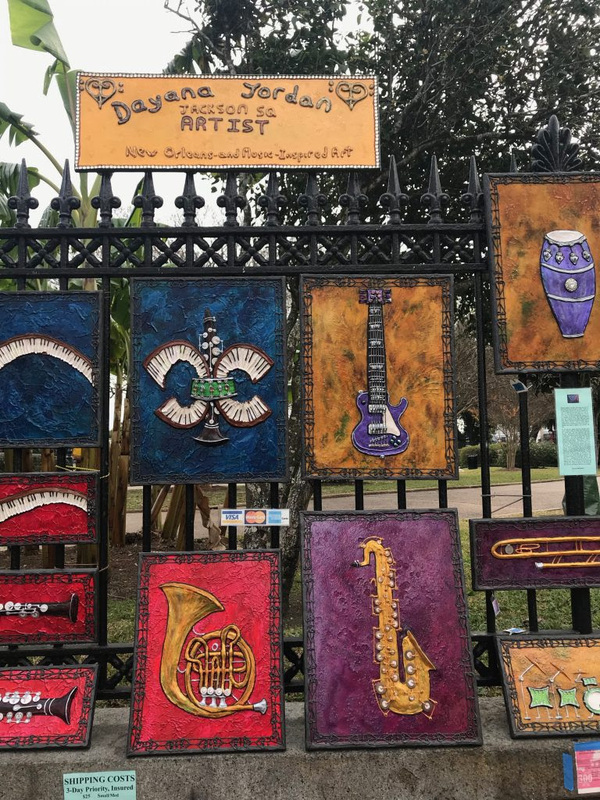 The Big Easy is known for their Jazz scene and little music lovers will enjoy taking in live music. 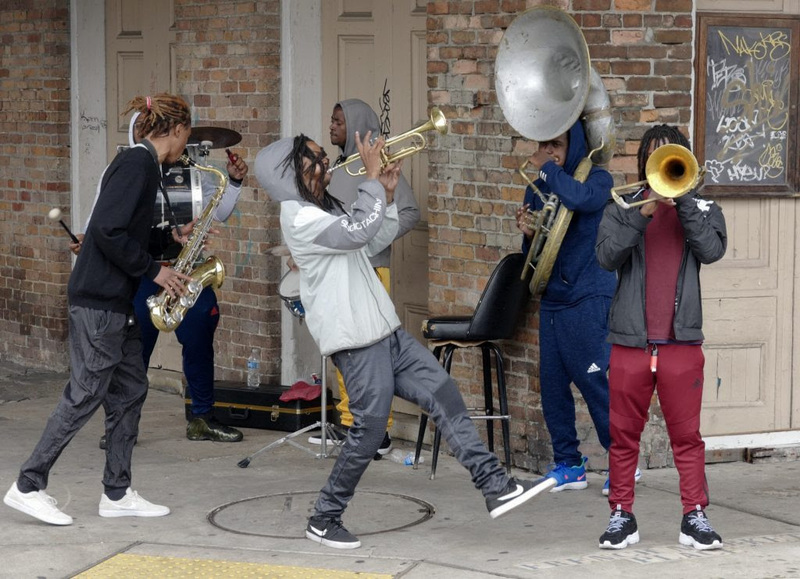 Local musicans play on street corners, restaurants and bars. 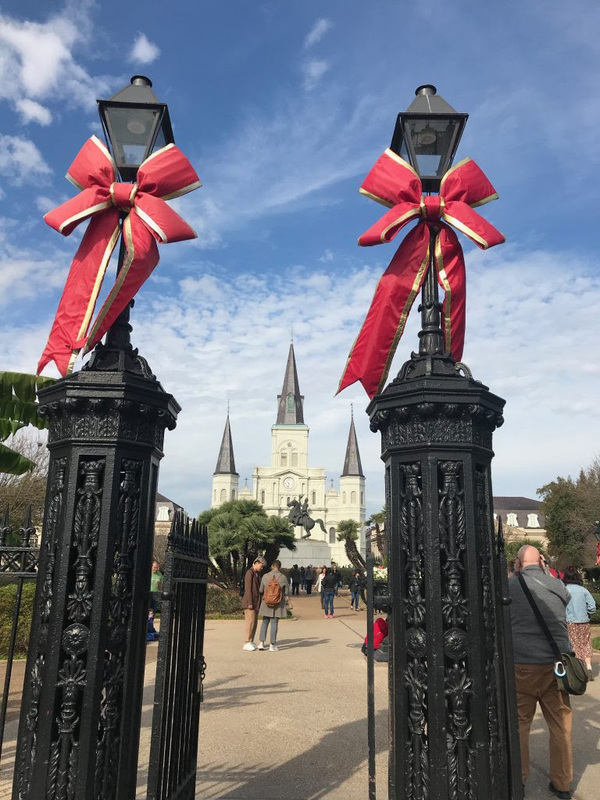 I recommend taking in a Jazz brunch or going to a concert at Preservation Hall, an all ages, non-smoking venue with shows starting at 5pm. 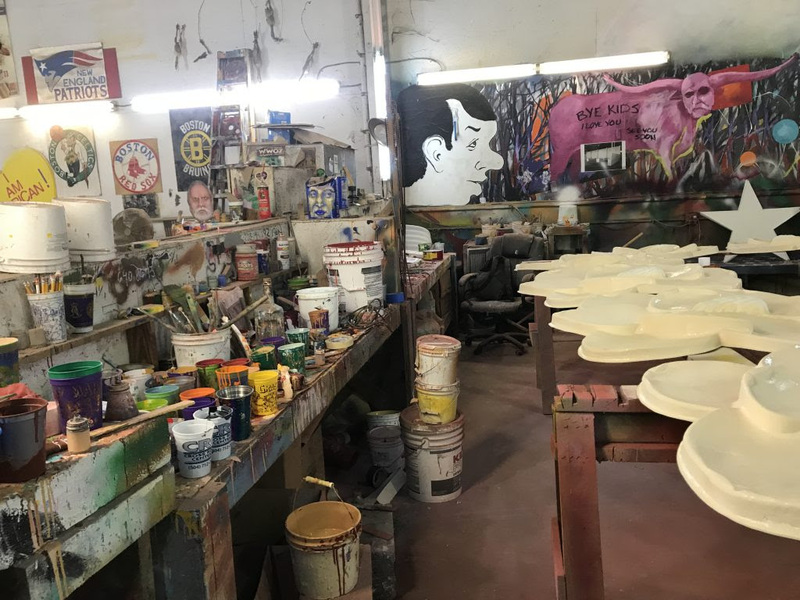 Book reservations in advance. 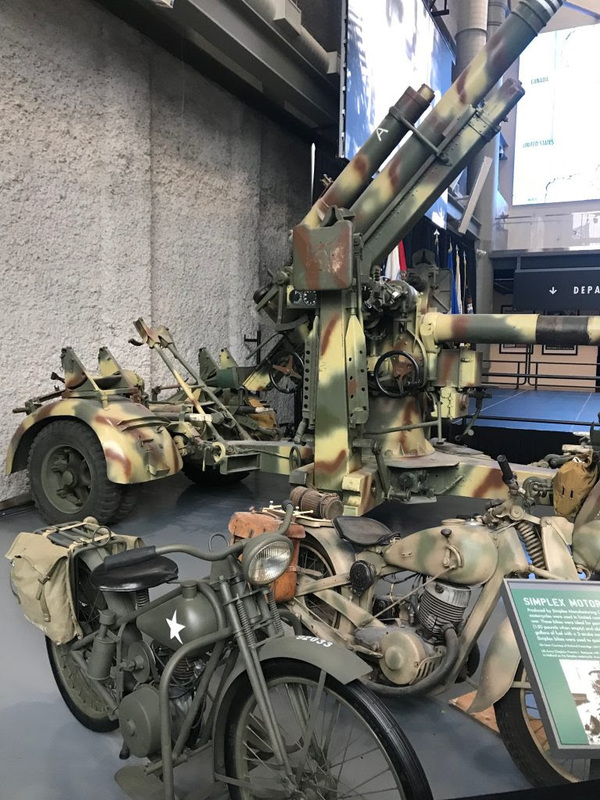 For history loving families (best for kids 6+), The National World War II Museum is a must see. 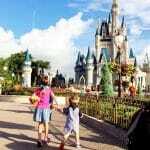 Give yourselves a full day here and plan to arrive in the early morning if possible. 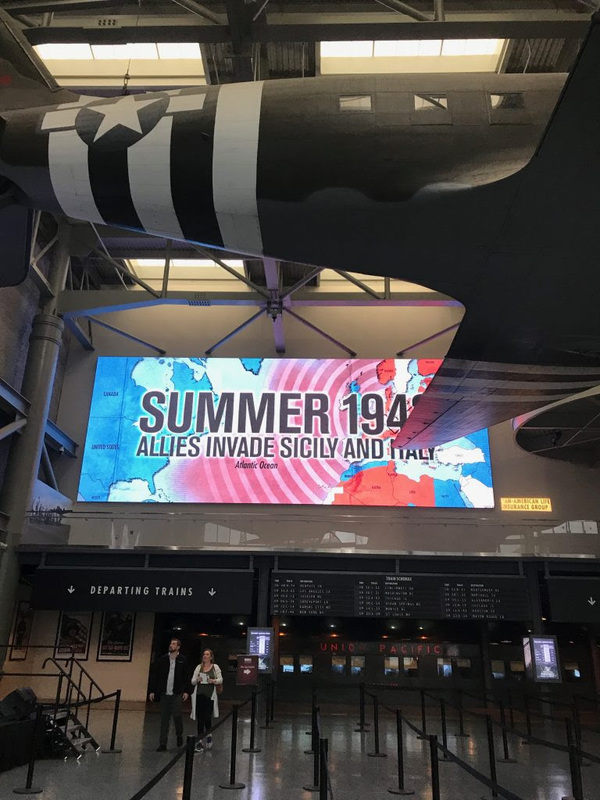 Younger kids will enjoy seeing the massive planes and visual displays (old fashioned kitchens and living rooms), while older kids will appreciate the interactive exhibits, historic artifacts and short films about America’s contribution to the Allied victory in World War II. 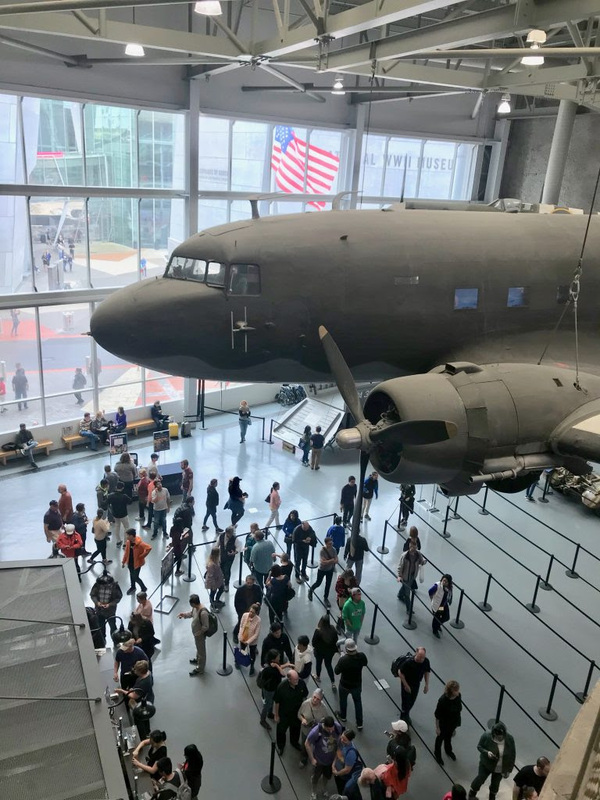 This museum is huge (AND expanding) and busy so get tickets to any special activities or events. 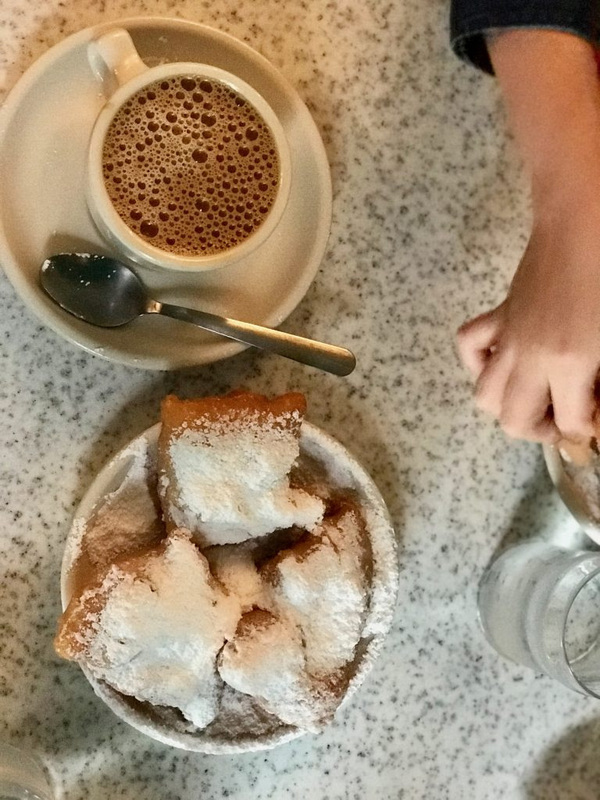 New Orlean’s French Quarter is famous for good reason. 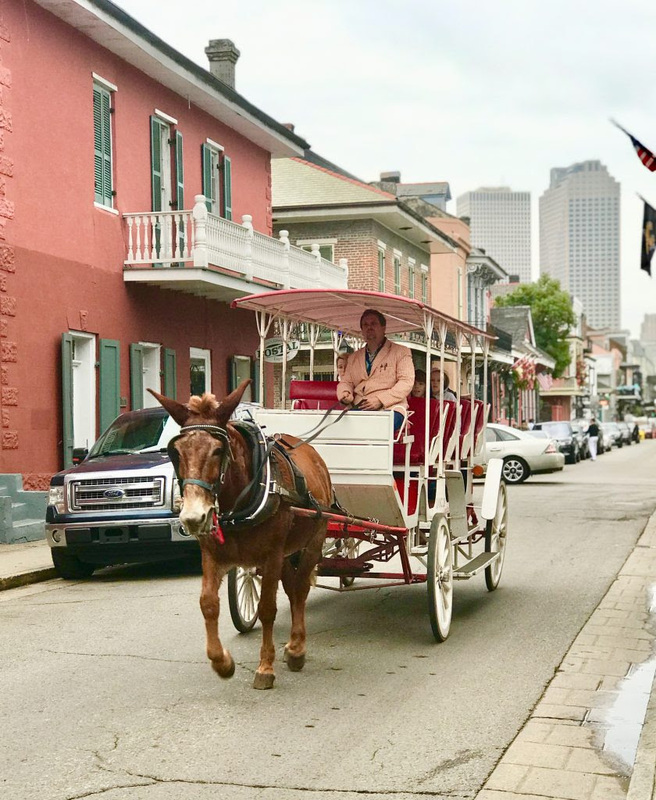 One look at the gorgeous architecture (colorful facades, rustic shutters and cast-iron balconies), horse-drawn carriages and performer filled squares and you’ll be lost in time. 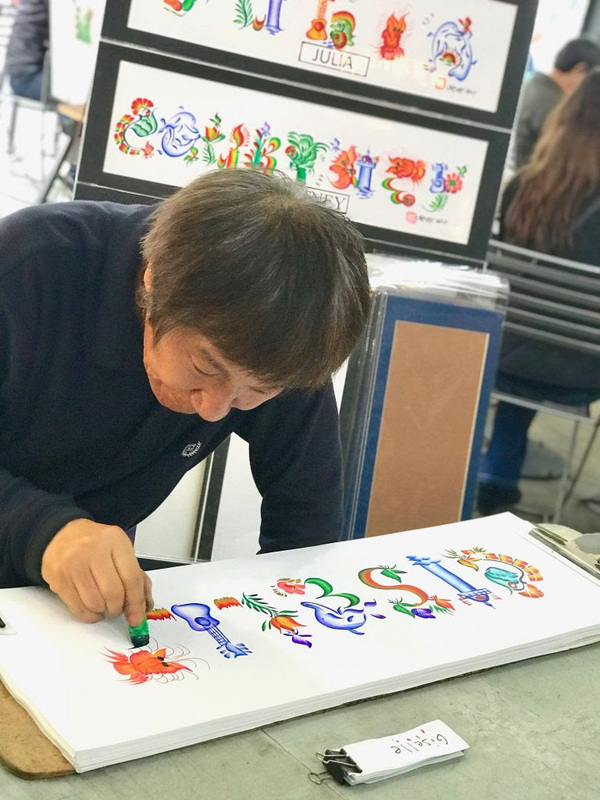 There are shops, art galleries, cafes, and street musicians at every turn. 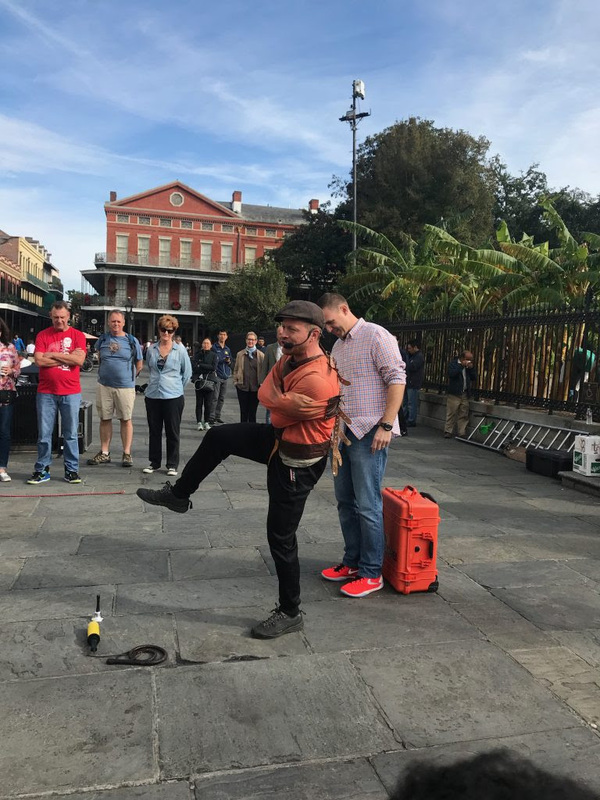 Yes, Bourbon Street has a lot of bars, but wander around Royal Street and the surrounding streets and be sure and check out the local artists and street performers in Jackson Square. 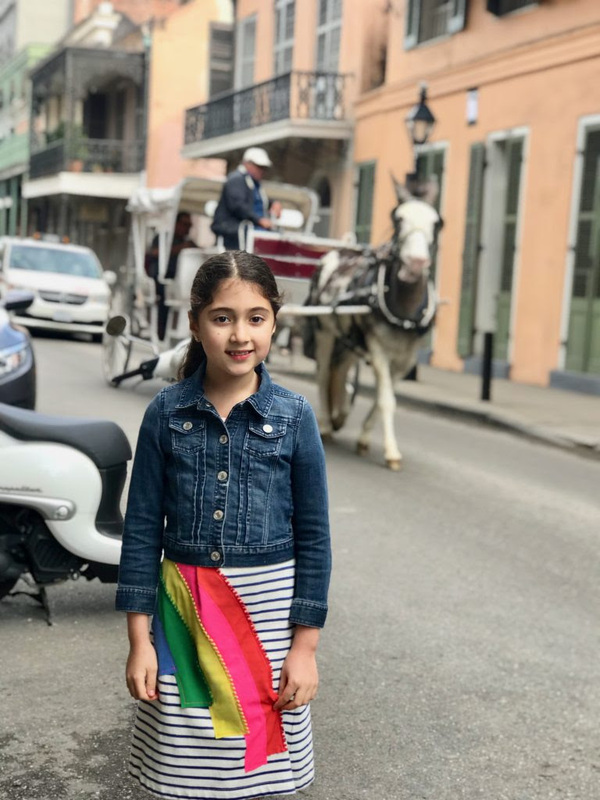 An awesome family-friendly destination is City Park, one of the oldest urban parks in the United States and a great spot in New Orleans with kids. 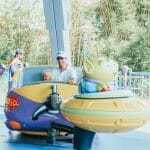 It features a small amusement park, storybook-themed playground, lake with paddle boat rentals, mini golf, botanical garden, cafes and more. 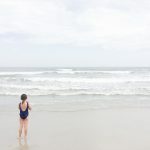 If you want to take in some nature and tire your littles out, this is the place to go. 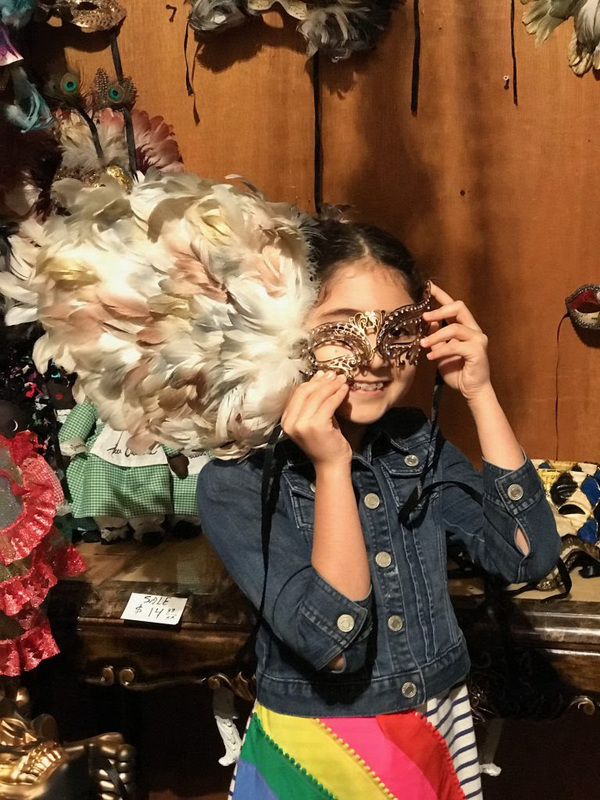 Planning to visit New Orleans with kids? 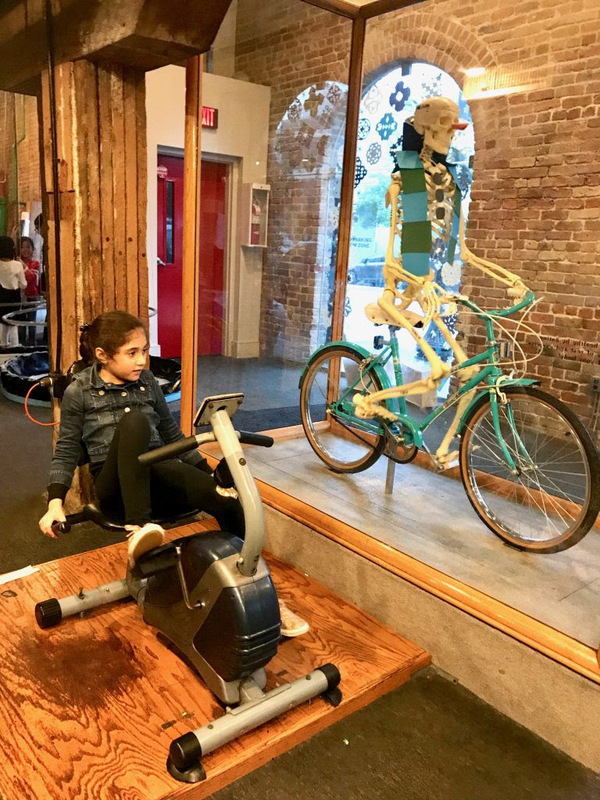 Be sure to check out my picks for the most family-friendly New Orleans restaurants before you go.